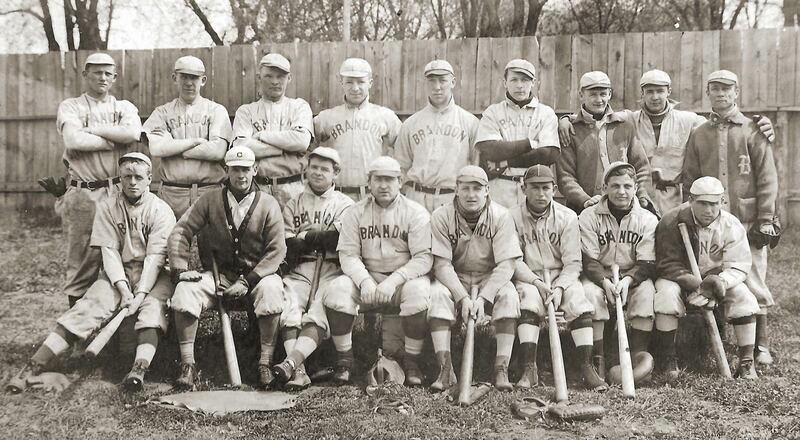 An early look at the 1910 Brandon Angels. 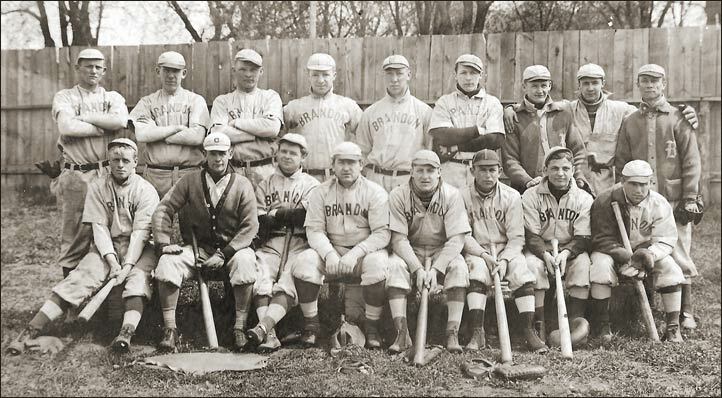 The photo was taken in Marengo, Illinois, as the Angels spring training camp. No names were noted. A copy was published in the Brandon Sun, May 3, 1910. 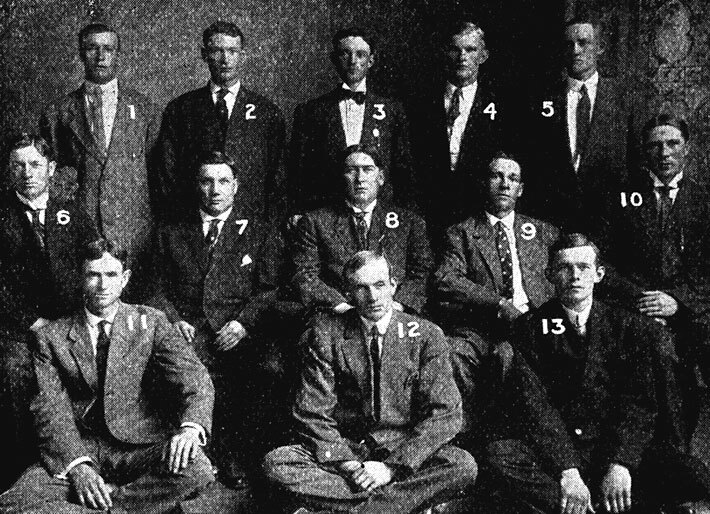 Back row - left, Henry Hinrichs. 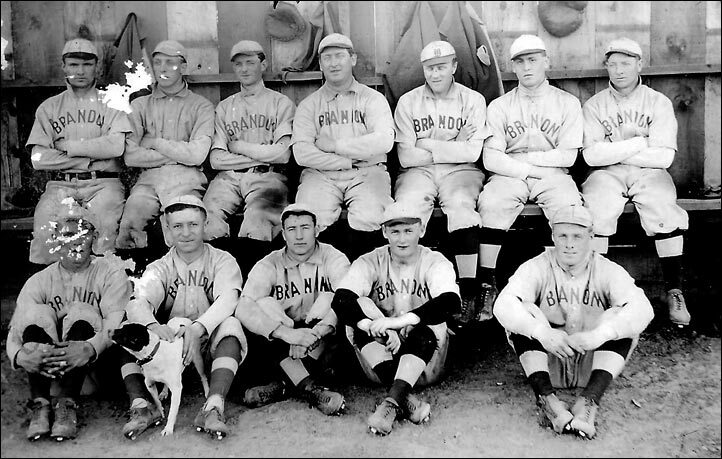 The photo was published on the front page of the Brandon Sun, May 3, 1910, but no names were attached. In part, the caption read "Photo taken expressly for the Sun by Rembrandt Studio, Marengo, ILL." The team trained at Marengo in preparation for the 1910 season.